You can now drink beer with Justin Trudeau's face on it — if you're willing to make a trip to Europe or have friends in Ukraine. 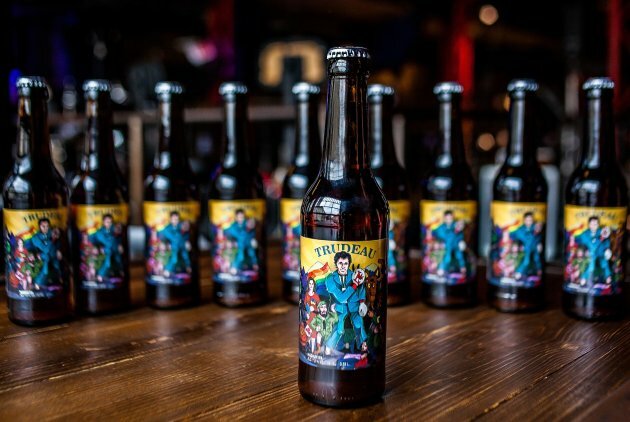 Ukrainian brewery Pravda recently unveiled a craft beer dedicated to the Canadian prime minister as part of its politician series. The label also features Foreign Affairs Minister Chrystia Freeland and Defence Minister Harjit Sajjan. In a news release about the new brew, Pravda didn't hold back on its affection for Canada's PM: "Justin Trudeau is a remarkable politician and a handsome man that is changing the world for better. Unique hobbies, a sense of humor, his position supporting Ukraine: this is all shown on our label." The "magnum" IPA beer has an alcohol content of 7.2 per cent and "caramel sweetness from malt which perfectly balances flower hop flavor." Pravda recommends drinking it with cheese and white meat. The concept of “western alienation” is real and dangerous, and people in the region feel as though their aspirations aren’t in line with those in the rest of Canada, Rona Ambrose said Tuesday. “We have a population in Alberta feeling as though their goals aren’t part of the federation’s goals — it’s dangerous,” the former interim Tory leader told an audience in Montreal as they celebrated the opening of a new school of public policy at McGill University. She said one incident that recently provoked sentiments of alienation in Western Canada was the rejoicing of politicians in Quebec — notably outgoing Montreal mayor Denis Coderre — to news that TransCanada was abandoning its Energy East pipeline project. She added the ill-fated plan to ship Alberta crude through Quebec to a port in New Brunswick for refining and sale overseas represented “hope” for Albertans, who have been suffering economically since the price of oil fell several years ago. Ambrose cited opposition inside neighbouring British Columbia to the Kinder Morgan Trans Mountain pipeline expansion as another factor leading western Canadians to question their place in the country. “Over a short time frame, (opposition to energy projects) has become a political issue on the ground,” said Ambrose, who spent 13 years representing citizens in the Edmonton area at the federal level and served as interim Conservative leader. 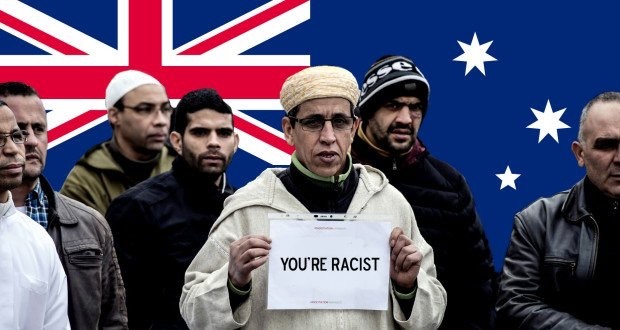 Muslim's In Australia Claim National Anthem "Racist"
the western part of Sydney. The conference was attended by about 800 people. A key issue raised at the conference by the group was Muslim children being required to sing the Australian national anthem at school. Hizb ut-Tahrir spokesman, Hamzah Quereshi, told The Daily Telegraph. Uthman Badar, the main spokesman for the group, claims that the Australian government “claims to afford freedom, but seeks to impose values and beliefs” on Muslims. He continued; “It’s not enough that you obey the law, no, you have to adopt our values.” “If you don’t share those values, why should they be forced to sing it? Prominent Nashville attorney Orville Almon, Jr. has died. He practiced entertainment and music law, IP law and business law for over 35 years, representing numerous prominent recording artists, music producers and songwriters, as well as record company executives, music publishers, record companies, television production companies, managers and other clients affiliated with the entertainment industry. His practice has included re-negotiating existing agreements and new technology issues. He has extensive experience in and is renowned for drafting language for difficult-to-define issues, negotiating with record companies and drafting “issue-specific” agreements. Almon has also successfully negotiated high-profile book deals, including deals for Chicken Soup for the Country Soul and Kurt Cobain Journals). Almon is a founding partner of Zumwalt, Almon and Hayes. In 2010, he opened his private practice Almon Law. Over the years, Almon has earned many awards and accomplishments including being recognized in Best Lawyers in America, Mid-South Super Lawyers and by BusinessTN as one of Tennessee’s Best 150 Lawyers. He is a Leadership Music Alumni (Class of 2009), and has been a member of the American, Tennessee and Nashville Bar Associations, and the Country Music Association. Almon earned his B.S. degree in Business Administration from the University of Missouri. A distinguished military graduate from the Army ROTC program, he served four years in the Army until resigning his commission as a Captain to enter law school at University of Memphis in 1979, where he graduated from Cecil C. Humphreys School of Law. While at law school he was selected to the Memphis State University Law Review for his academic achievement and elected to the Editorial Board of the Law Review as Administrative Editor for the 1978-79 school year. Upon graduation he was selected as a member of The Order of Barristers for exhibiting excellence and attaining high honor through the art of courtroom advocacy. Funeral arrangements have not been released at this time. Sounds rather dramatic at first glimpse. But who is being charged with what? 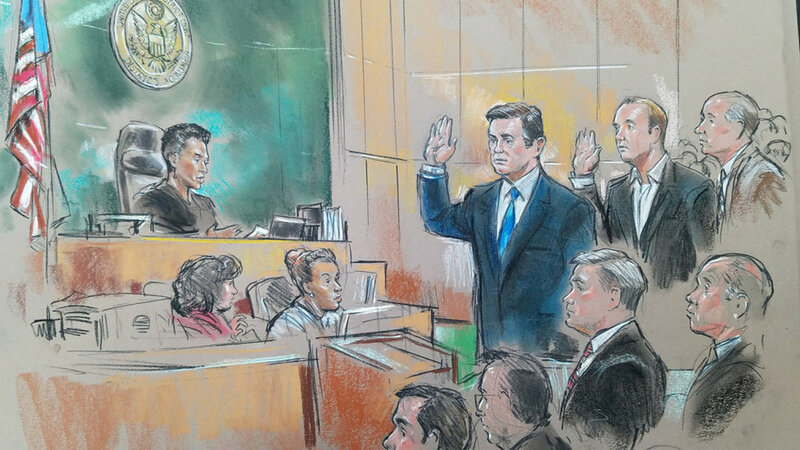 A close reading of the story that follows reveals that the only big name of the three “officials” is Paul Manafort, the veteran Washington lobbyist and wheeler-dealer who briefly served as the head of Donald Trump’s campaign for the Republican nomination before he was fired. Manafort has been charged with acts and alleged offenses that have nothing to do with his role in the campaign. Manafort and his longtime business associate, Rick Gates, have both pleaded not guilty—and have yet to be proven guilty—of money laundering, conspiracy and making false statements to investigators. But, even if they are eventually convicted, the charges are in no way connected to the Trump campaign, much less to Donald Trump himself. While a frenetic front-page story in the New York Timesreported as fact that the charges laid out in the indictments “laid out the most explicit evidence to date that his campaign was eager to coordinate with the Russian government to damage his rival, Hillary Clinton,” the story that followed showed nothing of the sort. Jeff Rout (left), Will and Arthur Sukalsky are all members of the Alberta Freedom Party, one of many secessionist groups in Alberta that would like to see the province "free from the economic yoke" of Canada. EDMONTON | It is not only in Quebec that we find sovereignists. In Alberta, an unprecedented number of secessionist groups are campaigning for the province to leave the "failed Canadian federation" and benefit "especially in Quebec". "We feel completely abandoned by Canada. We have the impression of having become one of the 13 colonies rather than being a Canadian province equal to the other nine, and we have more taxation, but with less representation in Canada, "says Arthur Sukalsky one of the founders of the Alberta Freedom Party (AFP). 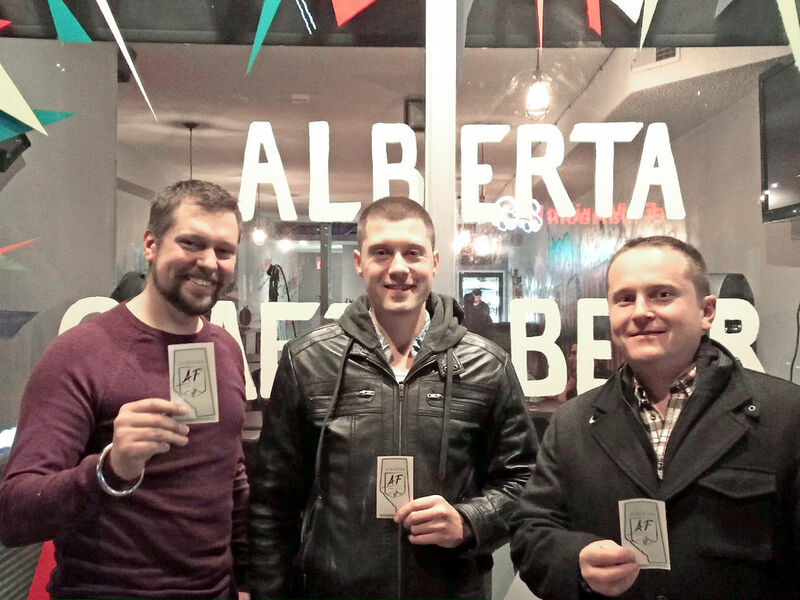 The Journal met with some members of the aspiring provincial political party at Arcadia Bar in Edmonton. A few days earlier, CBC announced that the facility, which sells only Alberta microbrewery beers, would no longer be able to advertise with the Edmonton Oilers logo if they did not partner with Molson, a sponsor of the NHL team. If they disagree on what to do, the many separatist groups we meet agree that Alberta no longer has any representation in the federal government and is treated like the national cash cow. And this, especially for the benefit of Quebec. Moreover, the growing anger towards our province, which we consider Ottawa's "favorite" to the detriment of Alberta, is one of the main factors explaining the new interest in sovereignty through the west, according to AFP members. By way of example, they pointed to Bombardier, which recently received a loan of more than $ 350 million from the federal government. "For years, Alberta has been giving to other provinces through Equalization. During the good years, there is no problem. But now that Alberta's economy is bad, no one is helping us repair our problems, but other provinces, like Quebec, continue to take our money, "said Mike Gibbons, co-founder of the Western Independence Party. of Alberta (WIPA). "We come to the conclusion that we will never be a prosperous province within the failed Canadian federation," continues the 50-year-old from Britain who arrived in Alberta 37 years ago. 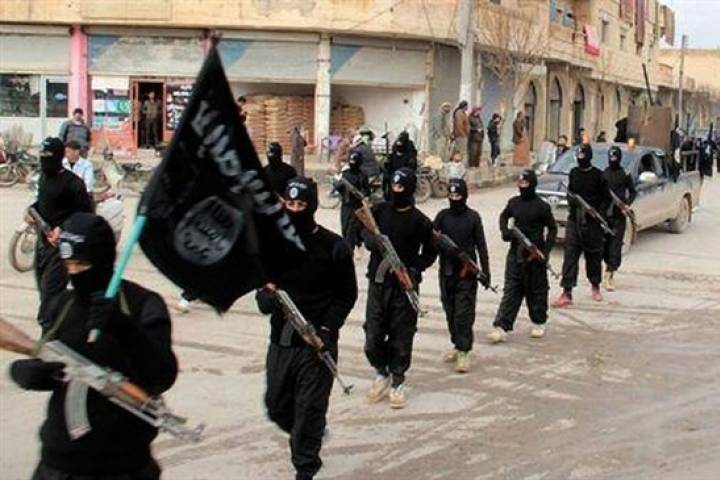 Not only is the movement gaining momentum in the west, but for the first time it must be taken seriously, warn experts. "I have been involved with the Alberta community for decades because of politics. And in my adult life, I have never done so much in the face of an Alberta sovereignty movement as in the last few months. The separatists are an increasingly vocal minority and that worries me, "commented politician Jason Kenney. Extremely dependent on the oil market, Alberta has for some years been experiencing one of the worst economic recessions in its history because of a drop in the price of a barrel of oil. Last year, the province's economy shrank by nearly 6%, and analysts do not expect a complete turnaround for a few years. Alberta will run two deficits of $ 10 billion in 2016-17 and 2017-18, following the $ 6 billion deficit in 2015-16. That's a total of about 26 billion deficits in three years. This led to the closure of many offices across the province and boosted the unemployment rate to 6.9% as of last September. 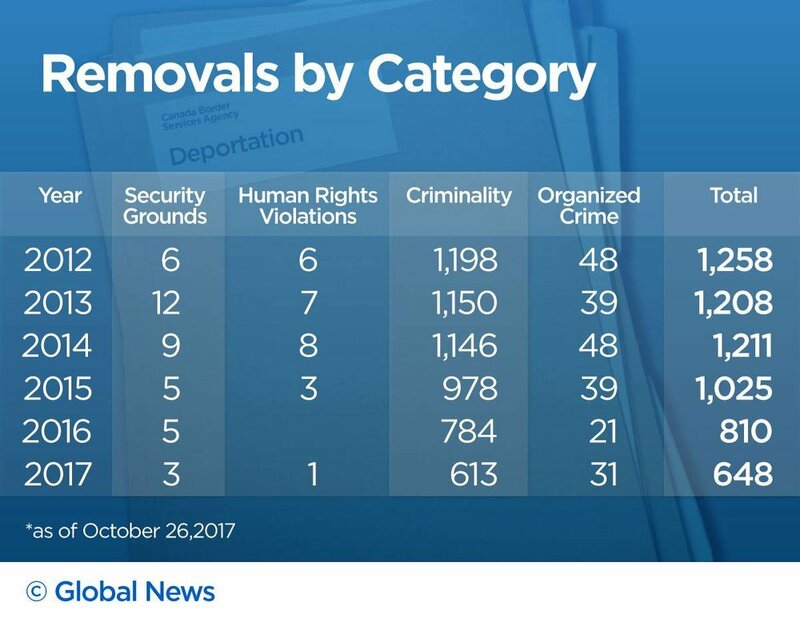 By way of comparison, the rate in Quebec is 5.4%. The equalization contribution of each province is difficult to quantify. However, a study by the Fraser Institute estimates that from 2008-09 to 2017-18, Alberta provided $ 28 billion to Equalization payments. According to the Parliamentary Budget Officer, Quebec receives the lion's share (60%) of the total Equalization envelope. The fiscal policies of Alberta and Saskatchewan are not sustainable in the long run, according to the latest Parliamentary Budget Officer (PBO) report released on October 5. According to the estimates of the PBO, these provinces would have to increase taxes or reduce expenditures drastically, by 4.6% and 4.2% of their respective GDP. The Quebec government has a long-term sustainable fiscal policy, according to the same report. The province could even afford to lower taxes or increase services. Madrid (AFP) - Spain was plunged into crisis Friday as Madrid seized power from independence-seeking Catalonia, the first curtailment of regional autonomy since the brutal dictatorship of Francisco Franco. In an escalating standoff closely watched by secession-wary Europe, Rajoy fired pro-independence leader Carles Puigdemont and all his ministers as well as the director of the regional police, and Catalan envoys to Madrid and Brussels, to halt what he termed an "escalation of disobedience." Secessionist lawmakers voted 70 to 10 in the 135-member parliament Friday to declare Catalonia "a republic in the form of an independent and sovereign state". They take their mandate from the "Yes" result in a banned and unregulated October 1 independence referendum spurned by many more than half of Catalan electors. Observers warned of trouble ahead, with Catalan officials and public servants likely to defy orders from caretaker envoys sent by the central government. "Tensions are likely to rise significantly over the coming days," suggested Teneo Intelligence, a risk analysis group. "Demonstrators might try to prevent the police from removing Catalan ministers from their offices... This increases the risk of violent clashes," it said in a statement. The region of some 7.5 million people accounts for about 16 percent of Spain's population, a fifth of its economic output, and attracts more tourists than anywhere else in the country. Catalonia´s inhabitants are fiercely protective of their language, culture and autonomy -- restored after a long period of oppression during nationalist Franco´s 1936-1979 rule. 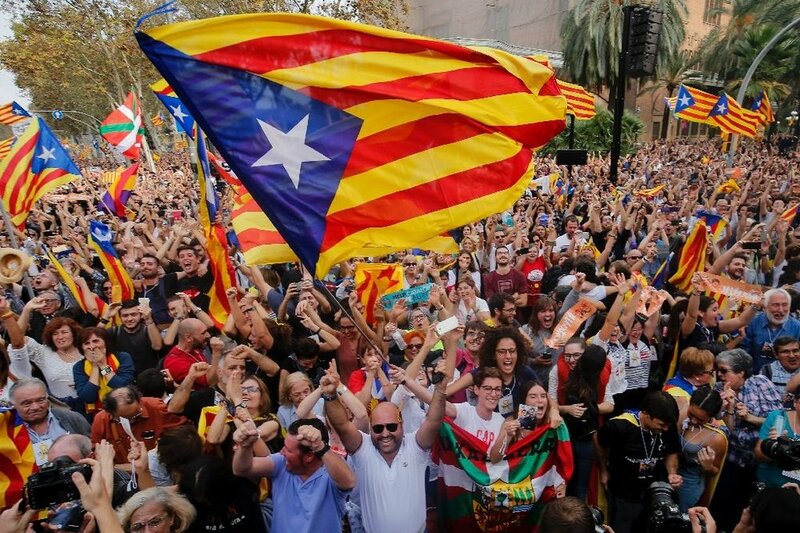 In Barcelona, separatists broke out in ecstatic shouts of: "Independence!" and popped bottles of cava, a Catalan sparkling wine, as the outcome of Friday´s vote was announced. Separatist MPs cheered and embraced before singing the Catalan anthem. But any cause for joy was soon nipped in the bud, and shares in Spanish companies, particularly Catalan banks, dropped sharply as the crisis deepened. "We Spaniards are living through a sad day in which a lack of reason prevailed upon the law and demolished democracy in Catalonia," Rajoy said as he announced steps to "restore normality". The sweeping measures were approved by the Senate Friday under a constitutional article designed to rein in rebels among Spain's 17 regions. European Council President Donald Tusk said Madrid "remains our only interlocutor" following the independence vote. 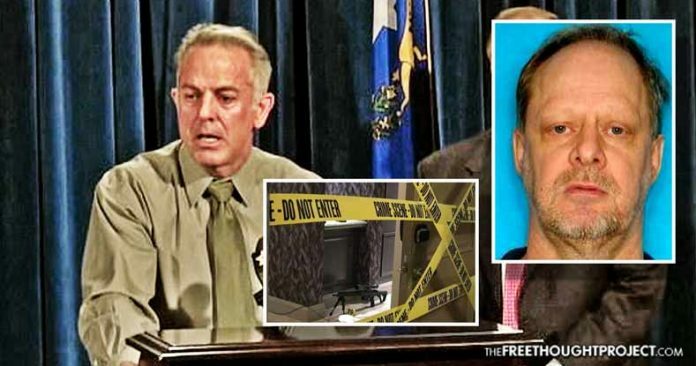 A shifting narrative about when officials at Mandalay Bay Resort & Casino alerted cops before the worst mass shooting in US history has Las Vegas on edge. And now gamblers are wondering: are they rolling the dice with their own lives inside the city’s casinos? Safety — security experts told The Post — is no sure thing. 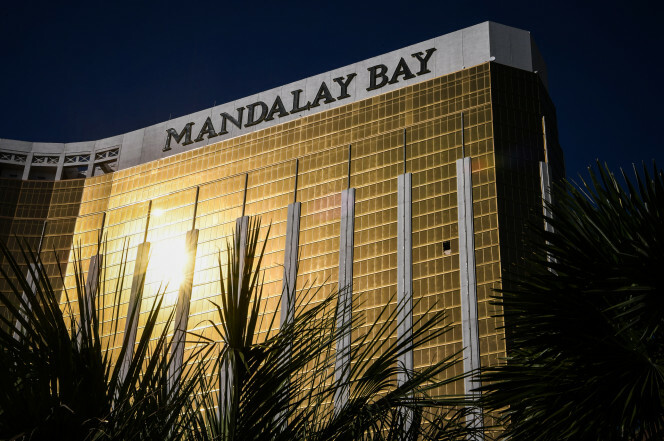 The mass shooting at Mandalay Bay took a turn not even the most trained security personnel could have anticipated. “Nobody thought of [a killer] breaking out the windows” to shoot at crowds 32 stories below, the executive said. Around 18,000 people attended the Vancouver Canucks season opener on Saturday and left in a good mood after the home team won against Connor McDavid and the Edmonton Oilers. 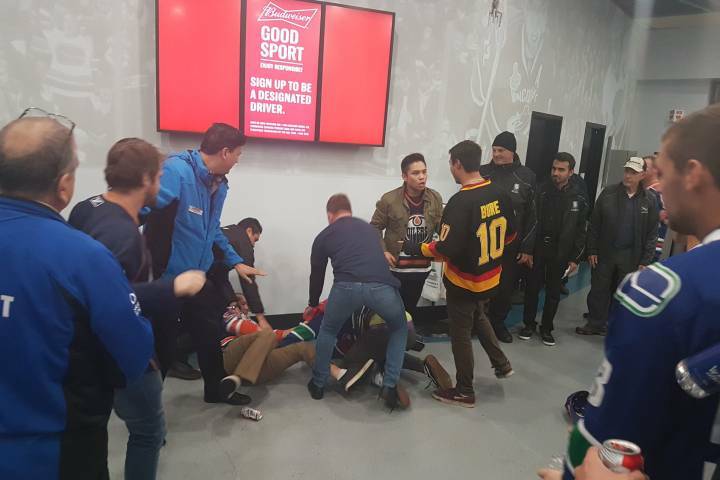 But one Canucks fan is a little concerned about safety at the stadium after witnessing an alleged attack. Ryan Pineo said he was on his way back to his seat after the second intermission when he saw a fight break out. OTTAWA — The prime minister accused opponents on Saturday of "stoking national divisions" through their reactions to TransCanada's decision to cancel its Energy East Pipeline plans. Justin Trudeau said in a Facebook post that critics who attribute the proposed project's cancellation to government regulation "ignores the obvious." "Aside from its being intellectually dishonest, the reflexive stoking of regional tensions is a political dead end. The Conservative party, formerly the Reform Party, trod that road in its infancy. 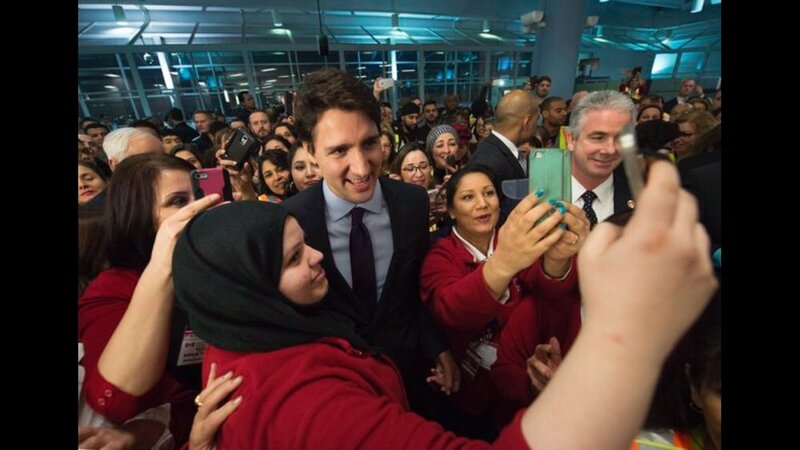 It was a road better left abandoned," Trudeau stated in the post. A 30-year-old Edmonton man is in custody and police think he acted alone, but they aren’t ruling out the potential for others to be be involved. “We are urging Edmontonians to be vigilant and aware of their surroundings,” Edmonton Police Service Chief Rod Knecht said in a 3 a.m. news conference on the attacks. He said there was an ISIS flag in the car. A photo of that type of flag appears below. Players with the Saskatchewan Roughriders locked arms during the national anthem at Sunday’s game versus the Calgary Stampeders at Regina’s Mosaic Stadium. This comes after U.S. President Donald Trump posted comments on Twitter that football players who kneel during the national anthem as an act of protest should be fired. On Sunday, many NFL players responded to his comments by kneeling, linking arms, or staying in locker rooms during the national anthem.